Do You Need A Visa For Spain? Your passport determines whether you need a visa for Spain or not. If your country of citizenship is included within the Schengen Agreement, you won’t need to apply for a visa. However, if you are a national of a country requiring a tourist visa to enter Spain, read the guidelines listed below. They will help you prepare your application as accurately as possible and minimize delays caused due to incomplete documentation. Check the expiry date of your passport and your national ID card (if your country issues one). Ensure that your passport is valid for at least 3 months after the departure date from Spain to avoid any travel complications. However, it is strongly recommended travelling with 6 months validity on your passport at all times. Make sure your passport has blank visa pages. Spain authorities require that you have adequate unused pages in your passport, allowing for any necessary stamps upon arrival and departure. 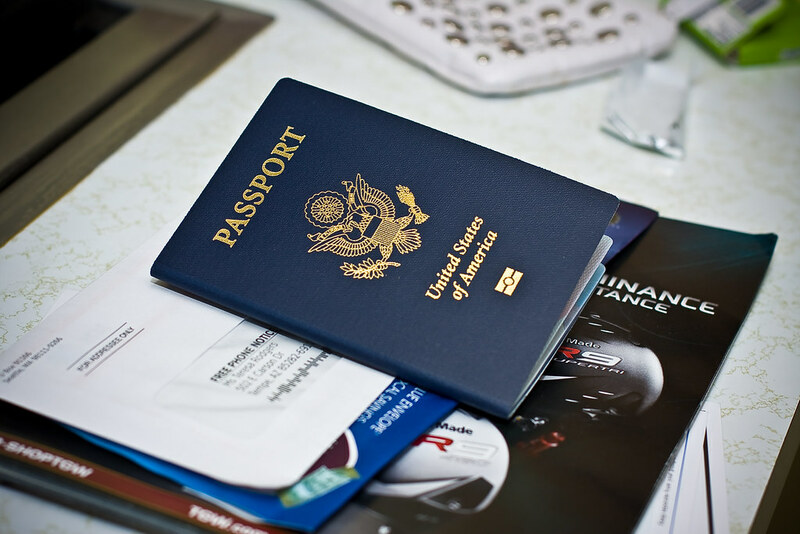 You should have at least two free pages in visas section of your passport before any international travel. Take your passport and national ID card with you at all times. In Spain a driving license, a student card and other documents are not recognized by the Spanish Authorities and are therefore not valid to travel to Spain. Don’t get confused, a tourist visa and a Schengen visa are the same thing. Is A Travel Visa Necessary? Passports and travel documents are required to be valid during the duration of the visit. You do not need a minimum of validity in your passport or travel document to travel to Spain. Check the official list of nationals who do not require a tourist visa for Spain. This agreement is valid for visits not exceeding 90 days per six-month period. Obviously, all visitors coming from the other countries will need to apply for a tourist visa through a Spanish Embassy or Consulate a few weeks before their departure. You Don’t Need A Travel Visa. Going Through Immigration. Either your passport or your national ID card if you are a European Union, Iceland, Norway or Switzerland national. Only your passport if you are from another country. In case you have a question, check it with the nearest Spanish Embassy or Consulate. Once you enter Spain, you also enter a Schengen country where the 90-day stay limit applies. In other words, you can spend a total of 90 days throughout a period of 6 months. From then on, you’ll have to leave the country. Some travellers have reported the possibility to stay 90+ days holding a Schengen tourist visa. Please note that this behavior goes against the current European legislation and you may risk deportation and further legal consequences. You Do Need A Tourist Visa. What Should You Do? All visas are managed and issued by Spanish Embassies and Consulates. You need to apply for your visa in your home country prior to your trip. Tourist visas are not issued in Spain. Don’t travel without a visa as you won’t be allowed to enter Spain, and your embassy or consulate will not be able to help you. As a rule of thumb, you should apply for a visa approximately 4 to 8 weeks before the date of departure. However, it depends very much on the time of the year and the demand that each Spanish Embassy or Consulate has. Each Spanish Embassy and Consulate has different visa procedures. Contact them to make sure what documents are required, how much the fees are and how long it takes to process your tourist visa. You are not allowed to apply by email, regular mail or fax. The application must be submitted in person. Therefore, request the respective appointment at least one month before the proposed date of travel. In like manner, you are only allowed to pick up your student visa in person. Usually, tourist visa applications cannot be submitted more than 90 days in advance before the proposed date of travel. However, they must be submitted at least 15 days prior to the proposed date of travel. Schengen Visa application form. You must fill it in and sign it. Medical insurance with international coverage. The Embassy or Consulate may even require you to sign a sworn declaration. Cover letter, explaining in detail the purpose of your visit. Flight bookings with your name and return date. Travel itinerary and hotel bookings for the entire duration of stay. A tourist visa does not give you the absolute right to enter Spain; it only gives you the authorization. The immigration official has the power to decide whether you are allowed to enter or not. A visa can be revoked at any time. The authorized period of stay of a visa is not the same as the validity of the visa. For example, your visa has been issued to start at February 12th and to expire on May 12th, and the authorized period of stay is 90 days, then the 90-day authorized stay begins when you enter the country (your entrance must be between February 12th and May 12th). Thus, the latest day you can stay in the country is maximum 90 days from the date you entered the country within the validity period of February 12th to May 12th. So if you enter the country on April 4th you cannot stay the maximum authorized 90 days since you must leave the country on May 12th.